Old Bayer Professional Division Fly Bait label: nothing fancy or frilly here. 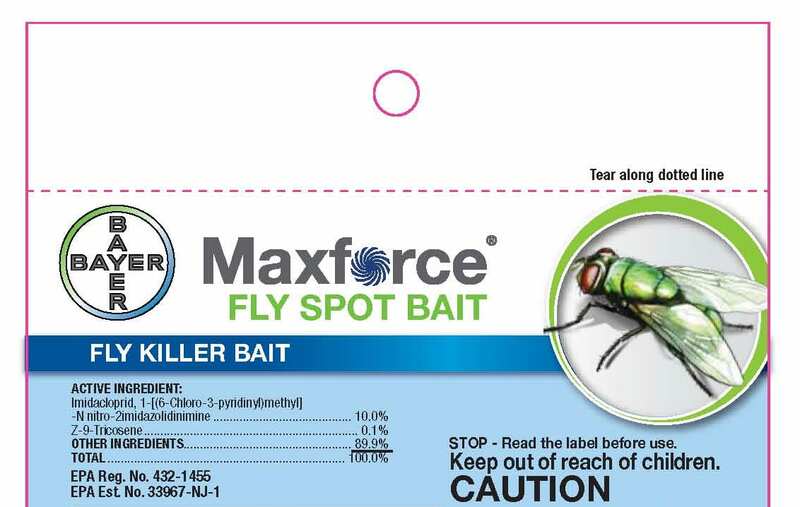 New package design with comp of fly from Bayer. This is what I worked from. The layout is fine, but the fly photo they approved for the comp was definitely the wrong species. The result is Musca domesticus all right, but science or no science, everyone sees it a little bit subjectively. And there is individual variation in flies. The idea is to illustrate the species as it is seen in the imagination of the consumer purchasing the product. Bayer’s comprehensensive layout for the house fly label. You can see that they used the wrong fly species. 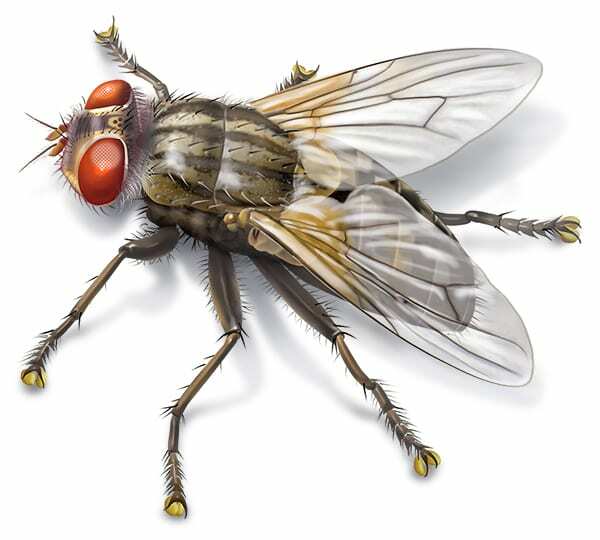 They specified a house fly, but showed a blue-bottle fly for position in the layout. In addition, they decided not to let the fly go over the circle border. New Bayer package label featuring Paul’s fly painting.